Instead of trying to prop up the failed bond notes and dollarization system, South Africa’s Finance Minister, Tito Mboweni thinks Zimbabwe is better off introducing a new currency. 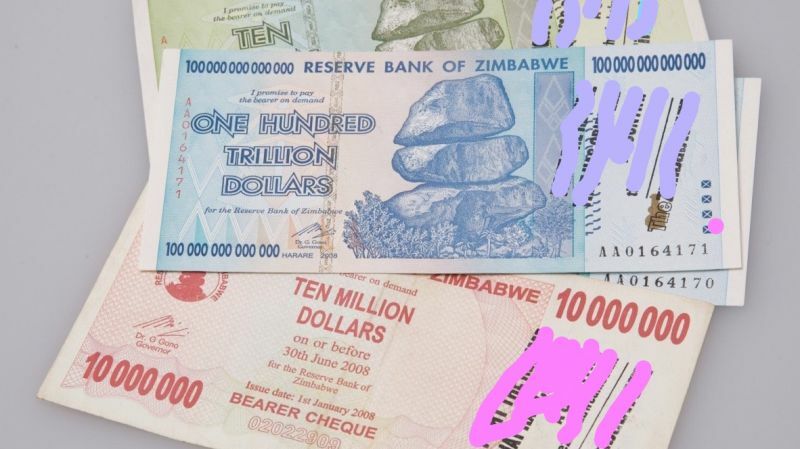 I think the idea of using a new currency in Zimbabwe is a good one. I think our colleagues there are on a good wicket when it comes to that space. We are working together very well but at the end of the day it is Zimbabweans who need to fix their country. His remarks indirectly concur with Finance Minister, Mthuli Ncube’s plan of introducing our own currency in 12 months’ time. Holding other things constant, a new currency might better Zimbabwe’s fortunes because much of its current economic woes seem to be as a result of a currency crisis that started a few years ago. Although some economists and public figures think it wise to have a new currency, I think the average Zimbabwean is not sold on the idea because they don’t trust the government on money matters. The mistrust stems from the fear that the government could repeat what it did decades ago when it was short of funds- the government simply printed new money which consequently led to inflation that ultimately left people holding worthless Zim dollars. Now the problem is that when people are skeptical and not confident with the government’s new currency, the currency won’t be used as a store of value since people spend it relatively as soon as soon as they receive it in the fear of ending up holding worthless papers. And if people are spending everything they are earning then there will be no savings which are used for investments and investments that are, in turn, to stimulate production. Despite this speculative and gloom outlook, having our own currency will enable the government (and the Reserve Bank of Zimbabwe) to tweak the monetary policy to produce positive effects on the economy. Imagine if Zimbabwe had its own currency, would we be having these shortages of hard cash that have bred currency black markets that are ultimately causing inflation? Obviously not, the RBZ would have simply increased the money supply and get rid of currency shortages. So Tito Mboweni and Mthuli Ncube may be right, having our own currency will solve our economic problems. This is just bull$hit. One problem is not lack of a local currency. Our problem has been uncontrolled government expenditure. Even if we get a new currency and no control on government expenditure we will still be back to where we are. They will just keep on printing new notes. ignorent Minister…. nothing more to say. I pity sa now after this suggestion. Sigh. South African parties are copying Trump and going to raise issue of illegal immigrants as a burning issue that needs to be addressed. Makes me wonder the level of thinking of the Governor who is a senior ANC member. Yes Zimbabweans need to sort out their issues but SA needs to also put pressure on the Zim government to do the right thing. If Mboweni thinks its okay for us to have a currency then he should also be fine when the next wave of Zimbabweans migrate to SA when the currency crashes. You can’t complain about illegal immigrants and also support the same government that is causing the illegal immigrants.